The government’s national work schemes are failing to reach over one million “vulnerable” unemployed people, local councils have warned. The Local Government Association (LGA) warned today that the rising levels of unemployed people, who do not claim benefits, mean the hardest to reach jobseekers don’t receive any help from the government. They say the reason behind the worrying trend is that national employment schemes are too focused on getting people off benefits, rather than helping them into jobs. According to the latest employment figures released in December, the number of unemployed people not claiming Jobseeker’s Allowance has surpassed one million for the first time. Research from the Centre of Economics and Social Inclusion showed that 51.4 percent of those classified as “out of work and wanting a job,” having actively sought work in the previous four weeks, are not claiming Jobseeker’s Allowance. 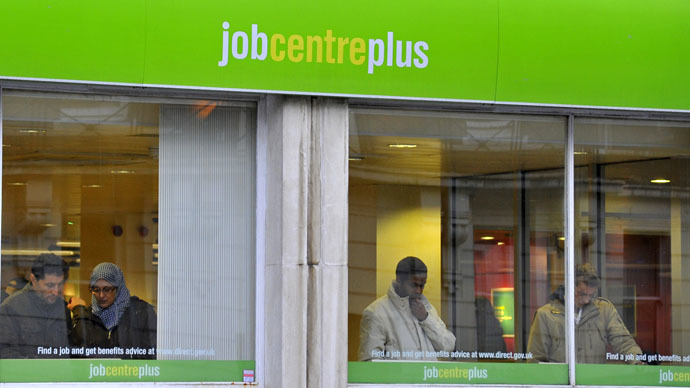 This marks a 28 percent increase in the proportion of unemployed people not claiming benefits in the last 18 months. The LGA said councils are being left to pick up the pieces to prevent more vulnerable people slipping further into long-term unemployment and disengagement, but that without funding to tackle the crisis they cannot continue resolving the “failings” of the national schemes. The 40 percent cut to local government funding has put pressure on the “vital” services. LGA Chair Councilor David Sparks said although the official figures show a fall in unemployment levels, the “plight of the most vulnerable” is masked. “Councils across the country are desperate to ensure no one is left behind and have sought to support those being forgotten by these national services by using their local knowledge, expertise and connections with local organizations and services to target their hardest to reach residents,” he added. He further urged the government to commit to developing local schemes which ensure that unemployed people aren’t neglected. The number of young people out of work has quadrupled in the last decade. Some 90,000 16 to 24 year olds are now out of work, up from 21,000 in 2005.